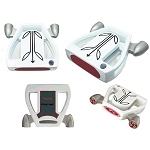 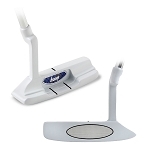 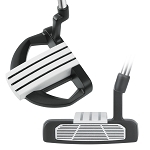 The Heater F-35 White Mallet Putter is designed for perfect balance and superior accuracy. 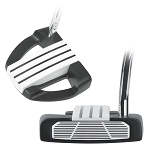 It features more weight on the perimeter, which combined with the larger mallet design boosts extreme MOI (Moment of Inertia) for consistent distance and maximum putting improvement. 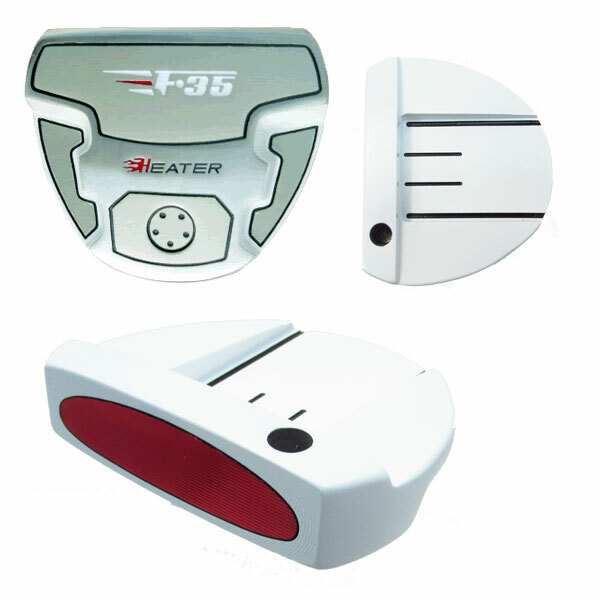 The Heater F-35 Putter has an enlarged front-to-rear dimension, which promotes increased stability and forgiveness. 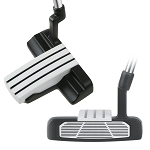 Features a Milled Face with polymer insert, to reduce skidding and promote truer roll. 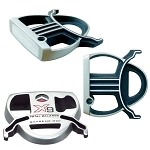 INT-35 RH 4° 90 d 365g 90 mm 25 mm 35 in 0.370"